This mod adds to the game a new block. This is infernal Lucky Block. And it's really cool! If you break a block, you can get one of the 35 different dangerous things. It may be valuable items or your death. Try, all of a sudden you're lucky. 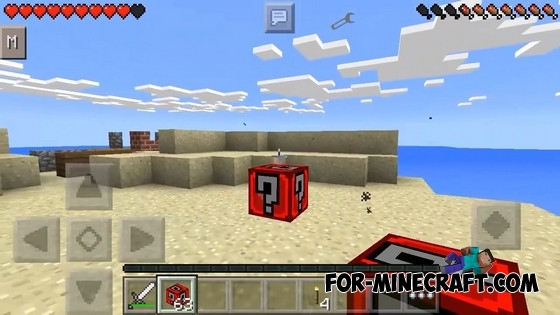 Just place lucky block on the ground and break him. 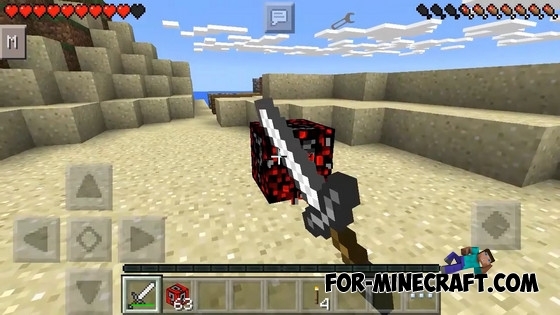 To get the block in survival mode, use Too Many Items for MCPE 0.14 or create it from 9 redstone blocks. You necessarily have to prepare your weapons or shelter when the monsters will spawn.